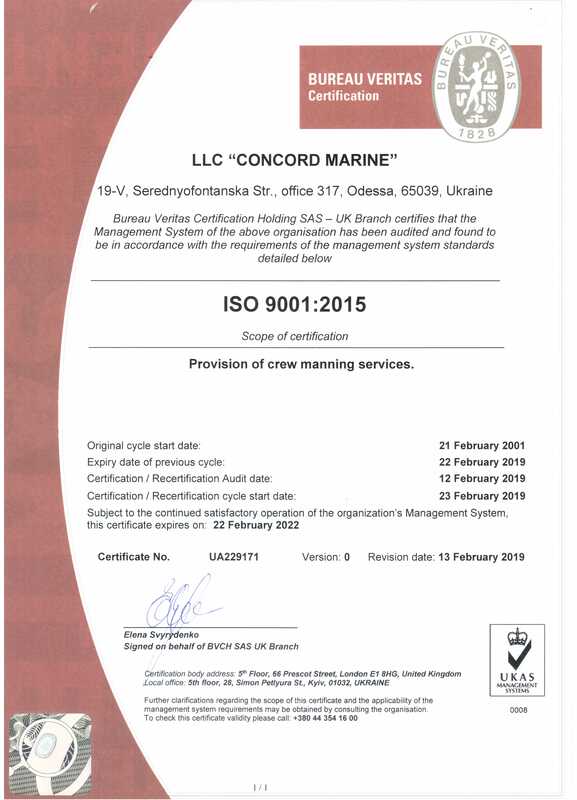 Concord Marine LLC - Maritime Crewing Agency recruiting Ukrainian seafarers and providing reasonable crewing and other services for Shipowners/Managers. 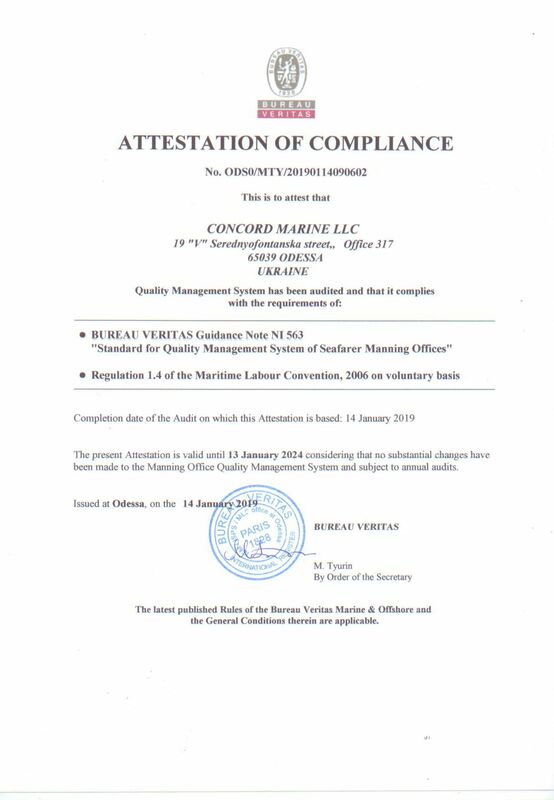 Concord Marine LLC was founded in 1998 in Odessa, Ukraine. 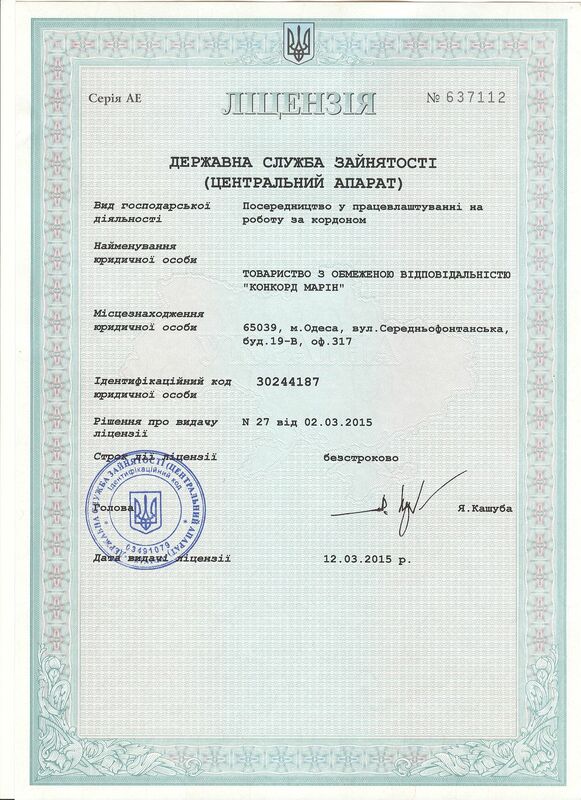 Our License No: 637112 issued by the State Employment Service of Ukraine is presented on the web-site. Since February 2001 the Quality Management System of our Company has been certified and successfully recertified with annual approvals. The last successful annual Quality Management Control was held by Bureau Veritas on February, 2016. As well as we are working in accordance with requirements of International Labor Organization’s Maritime Labor Convention, 2006 (MLC 2006). any other service on request. We thank you for visiting our site and look forward to our fruitful and mutually beneficial collaboration.